The enforcement and rehabilitation aspects of probation work are often seen as opposing forces. More recently the role of the probation officer has gradually shifted from being an “enforcer” to an “agent of change” focusing more on the aspects of rehabilitation. When acting as an “agent of change” probation officers center more on development of juveniles and service delivery to restore them, influencing behavioral change. This does not mean that enforcement goes by the wayside, but a more “balanced approach” of supervision ensues. Officers have the responsibility to identify major criminogenic needs of juveniles and assist them with skill building, thought, and behavioral changing interventions. Formal assessments provide critical guidance for the case management and supervision activities for juveniles placed on probation. In order for a balanced approach to be effective, it is necessary that officers relate to juveniles constructively and enhance intrinsic motivation so behavioral changes are long lasting. To ensure compliance with terms of probation, the enforcement aspect of probation is an integral part of the job. Research clearly indicates that juvenile probationers are much more successful if probation officers act as agents of change, providing quality treatment, mentorship and motivation to the probationers they serve to assist them as they attempt to assimilate into productive, law abiding citizens. Rehabilitation with appropriate supervision and enforcement are both necessary but must be appropriately balanced. A large part of case management is providing opportunities to juveniles to change their behaviors and thought processes. 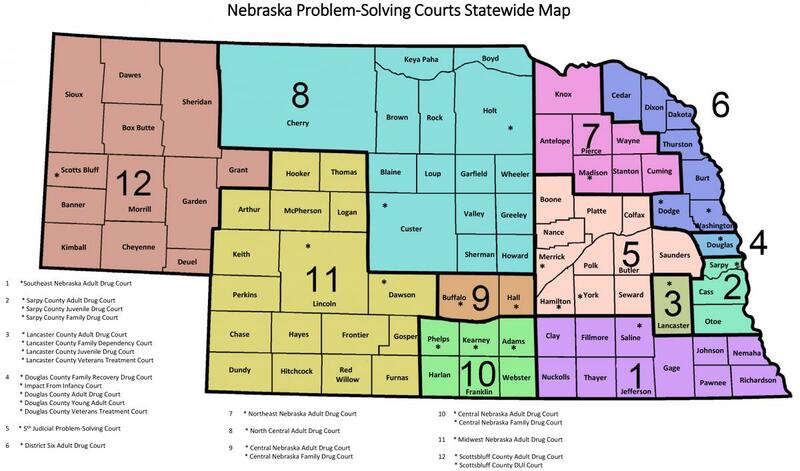 The Nebraska State Probation System has the capability for service delivery for juvenile probationers and their families. Delivery prioritizes services and targets interventions that juvenile probationers need to help reduce their risk to reoffend. The services and interventions that a juvenile probation officer utilizes should directly correlate to the youth’s assessed risk level and risk reduction.